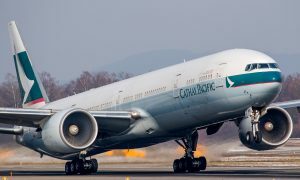 Cathay Pacific Airways today marked another important milestone for the airline as it unveiled a new livery that will be progressively introduced onto all the aircraft in its fleet. The livery was showcased on one of the airline’s Boeing 777-300ER aircraft at a special event held at Hong Kong International Airport. 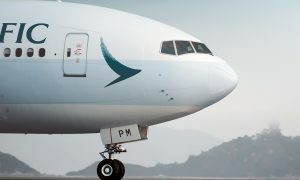 Mr Chu said that the new livery is a continuation of the work that began last year to refresh Cathay Pacific’s brand identity. “The livery is a vital part of our brand image – a symbol of the company’s values displayed on our most important physical asset. The livery represents Cathay Pacific in and out of Hong Kong and every time our aircraft take off or touch down in our network of destinations around the world,” he said. Guest of Honour at the event was Professor Anthony Cheung, Secretary for Transport and Housing, who officiated at the livery unveiling ceremony together with Ivan Chu. More than 300 guests were in attendance at the event, held in the hangars of Hong Kong Aircraft Engineering Company (HAECO), including aviation and trade officials, members of the Marco Polo Club loyalty programme, guests from the Hong Kong public, and Cathay Pacific staff. In addition to seeing the new livery unveiled, all guests enjoyed a unique behind-the-scenes experience where they could explore the aircraft inside and out and chat with the airline’s operations teams. In recent years, Cathay Pacific has made huge investments in new aircraft and new products to provide a rewarding experience for its customers. The airline has also worked hard to build Hong Kong’s position as one of the world’s great aviation hubs, growing its network and building connectivity to oil the wheels of commerce, tourism and trade. Cathay Pacific sees the livery as a symbol of its commitment to its home city as well as a visible representation of its promise to offer a Life Well Travelled to customers. As part of its ongoing efforts to provide a richer travel experience, the airline promises a number of important upcoming developments including the introduction of the new Airbus A350 fleet, further enhancements to its products and services, and the continued expansion of its network. The update to the livery is part of a series of ongoing improvements to Cathay Pacific’s customer experience. 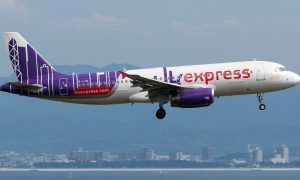 These include not only the new livery, but also the website and mobile app, as well as major enhancements to the airline’s airport lounges in Hong Kong, Tokyo, Manila, Bangkok and beyond. The new Airbus A350 series will be the first fleet to launch with the new livery. 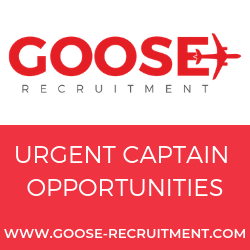 However, the airline’s existing fleet will be repainted with the new livery as aircraft go through their normal maintenance schedule over the next five years, with some 150 aircraft getting the new look in total. The new livery comprises three key design elements: the incorporation of the updated and streamlined brushwing, which was launched in October 2014; a simplification of the colour palette to Cathay Pacific green, grey and white; and a more prominent display of the Cathay Pacific name and brushwing. These updates are most evident on three areas of the aircraft: the nose, the fuselage and the tail.